Just in case you need one more reason to get up off the couch or the desk chair, a study done in November 2015 at the Boston University Medical Center has found that older adults who take more steps either by walking or jogging perform better on memory tasks than those who are more sedentary. A release from the medical Center reports that the study examines the relationship between physical activity, memory, and cognition in young and old adults. It was published online in the Journal of the International Neuropsychological Society. The study included 29 young adults (ages 18-31) and 31 older adults (ages 55-82) who wore a small device called an ActiGraph, which recorded information including how many steps each took, how vigorous the steps were and how much time it involved. Participants also completed neuropsychological testing to assess their memory, planning and problem-solving abilities. In addition to standardized neuropsychological tasks of executive function (planning and organization abilities) and long-term memory, participants engaged in a laboratory task in which they had to learn face-name associations. 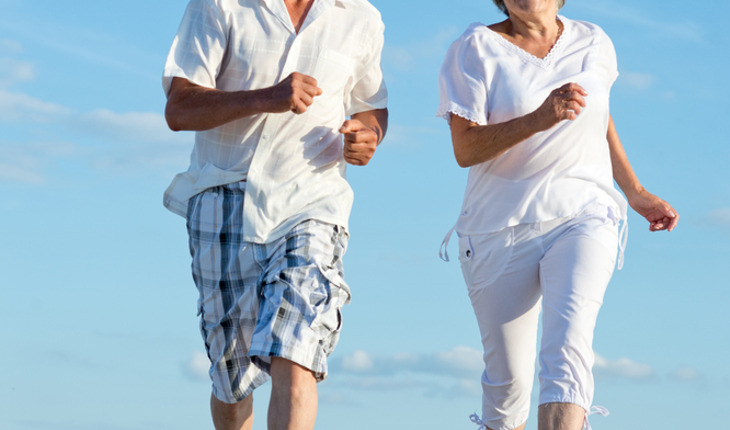 The researchers found that older adults who took more steps per day had better memory performance. The association between the number of steps taken was strongest with a task that required recalling which name went with a person’s face–the same type of everyday task that older adults often have difficulty with. In young adults, the number of steps taken was not associated with memory performance. According to the researchers these findings demonstrate that the effects of physical activity extend to long-term memory–the same type of memory that is negatively impacted by aging and neurodegenerative dementias such as Alzheimer’s disease. The authors point out that staying physically active can take a variety of forms from formal exercise programs to small changes, such as walking or taking the stairs. “More research is needed to explore the specific mechanisms of how physical activity may positively impact brain structure and function as well as to clarify the impact of specific exercise programs (e.g., strength, aerobic, or combined training) or dose of exercise (frequency, intensity, duration) on a range of cognitive functions,” added Hayes. The authors emphasize that the objective measurement of physical activity was a key component of the current study, as the majority of studies to date have used self-report questionnaires, which can be impacted by memory failures or biases.